After deaths and injuries, Toyota replaces airbag inflator manufacturer Takata as it and other auto manufacturers face staggering liabilities for faulty product. In the strongest proactive response to the recall crisis by a major car manufacturer, Toyota Corp is inking a deal with Nippon Kayuku to supply airbag inflators. This is in response to the massive recalls of airbags in over 10 automobile manufacturers’ products. The recalls number in the tens of millions since 2008. The big loser in the airbag inflator recalls is Japanese-based Takata Corp. who is under tremendous pressure from the United States government to recall some 50 million additional airbags that are suspect. While the definitive cause of the airbag inflator issues has not been determined, the Takata products are in question, the auto manufacturers are absorbing the costs. Belabored Takata has suffered the exposure of at least eight deaths and well over one hundred injuries linked to their airbag inflators. 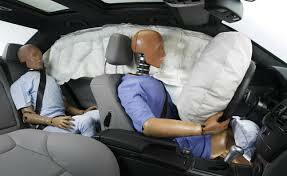 The deaths and injuries have been the result of shrapnel being expelled with deadly force from the airbags. Many experts expect Takata to ultimately be the subject of liability and manufacturing contract failure law suits. Business World Online reports the not-yet-pubicly-disclosed Toyota Nippon Kayuku deal to be for more than 13 million inflators. Production is to commence July 2016 and run through 2020 per unidentified knowledgeable sources. The arrangement will require increased production facilities be built out by Kayuku to meet the demand of the contract. Takata has claimed that long term exposure to heat and humidity takes a toll on the airbags that result in them inflating at far greater force than designed. The fact that the deaths and injuries to date have been in vehicles over five years old seems to bolster their position. However, this leaves Toyota and other auto manufacturers with a mounting problem as their sold fleets age in the marketplace. Estimates upwards of $150 million have been suggested as the price tag for replacing the airbag inflators in Toyota alone’s aging cars. It is likely the older air bag inflators will be prioritized in the replacement queue.